Ready to deepen your practice? Become a yoga teacher! Hot Yoga Wellington’s Teacher Training offers you a transformational course in a fun, practical, and nurturing learning environment. 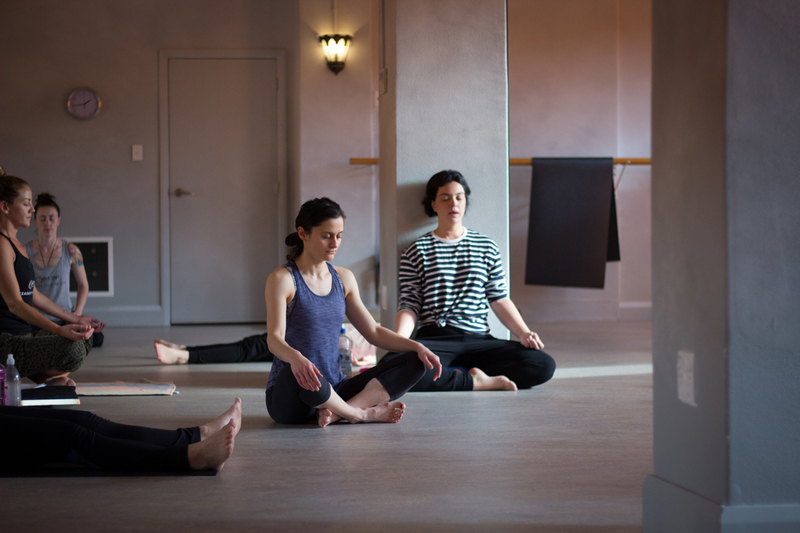 Our in-house Teacher Training occurs once a year from March-July and grants you a 200-hour RYT certificate for various styles including Hatha, Vinyasa, and Yin. 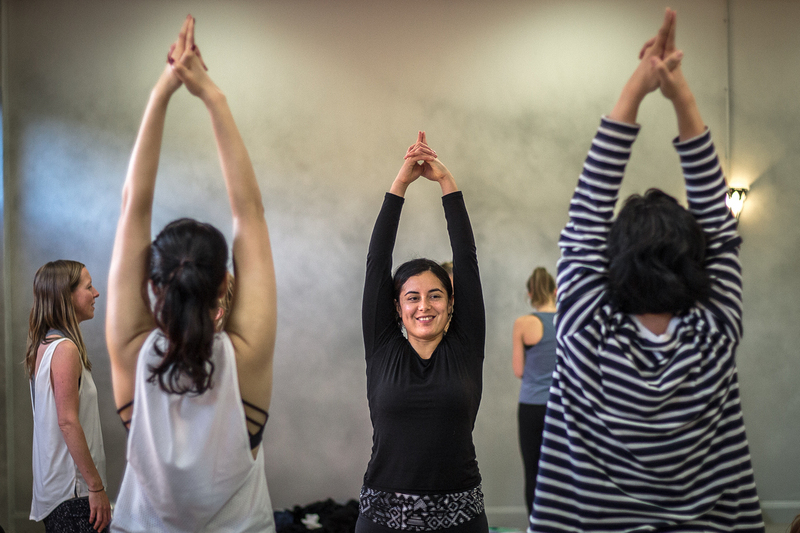 During the 4-month training period, you will learn everything from anatomy and alignment to philosophy and pranayama to practical teaching approaches (and get free classes with us while you study!). If you want to teach after your course, then there is a seamless mentor programme that transitions new teachers into one or more of our three studios. In the end, whether you want to become a teacher or just explore your yoga practice further, making the decision to join our Teacher Training will take you on an exciting journey of self-discovery and personal transformation. Curious to talk to recent grads? Get in touch, and we’ll pair you with someone who can answer your questions. Interested? Don’t hesitate. To learn more, email Maria or drop into one of the studios. We’re happy to answer questions and offer advice. Trainings consist of four 4-day blocks, two weekend workshops, and practicals where trainees will teach a public class. Email Maria for specifics on dates, times, and locations. We take pride in our studio’s knowledgeable team of instructors who are here to offer you expert support, experience and guidance. Our teachers love what they do, and their passion shines through in their instruction. As co-owner of all Hot Yoga Wellington studios with a background in leadership, training, and consultancy work, Maria co-heads our in-house Teacher Training with both practical knowledge and passion. Maria’s approach to training stems from her in-depth understanding of effective teaching methods. Her philosophy lies in encouraging individuals to facilitate their own learning to in turn gain the necessary skills to pass their passion onto others. Maria’s vocational calling to co-own Hot Yoga Wellington weaves together three major career paths she has experienced along her Journey. As an accredited Neuro Linguistic Programming (NLP) practitioner who has worked in the world of fitness, health and well-being for many years, Maria designs, develops and delivers her trainings around a holistic philosophy of self-growth and mind-body integration. Angela has been part of Hot Yoga Wellington since it began. First, practicing and later, completing her own teaching training with the studio. She has assisted with teacher trainings at both Hot Yoga Wellington and Auckland Hot Yoga. As co-leader, she brings her passion for her own practice in line with her passion for our studio and community. She’s excited to have the opportunity to be part of our teacher training, presenting Yin sessions and assisting those who, like herself, are curious about all aspects of yoga and teaching. Samantha oversees anatomy and vinyasa modules for HYW’s Teacher Training. In addition to her 200-hour RYT training, she has completed several workshops and short course trainings with Noah Mazé, Swami Shantimurti Saraswati, Les Leventhal, Amy Ippoliti and Tiffany Cruikshank. In addition, Samantha has completed Essential Yoga Anatomy with Jason Crandall and Paul Roache, which has helped her shape the landscape of the Anatomy and Physiology modules for Hot Yoga Wellington’s teacher training. During the course’s Vinyasa weekend, Sam teaches how to sequence vinyasa classes with safety, intelligence and heart. Over the course of our training program, Bridie offers support, feedback and guidance for trainees. Working to create a welcoming space for growth and learning, she facilitates group work, gives feedback, and supports each trainee’s journey of finding individual authenticity. Co-creating HYTT’s programs with our other amazing teachers has given her the opportunity to keep connecting with her passion for life long learning.